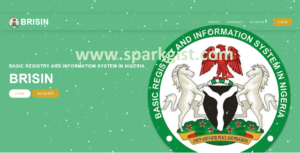 BRISIN Interview/Aptitude Test Screening Exercise 2018/2019- This is to inform the general public and all those who applied for the Basic Registry and Information System in Nigeria BRISIN that the Aptitude Test and Interview Screening Exercise date, venue and time is out. The date for Brisin Aptitude test is out, this post will guide you on how to take your BRISIN aptitude test online. Note: All shortlisted First Stage Selected Candidates are advised to take his or her test on or before the closing date for the test online. 0.3 How to Check your Name on BRISIN List and Take your testAND TAKE YOUR TEST. The brisin exam aptitude test will be a CBT based interview online at the comfort of your home or any cyber café. How to Check your Name on BRISIN List and Take your testAND TAKE YOUR TEST.